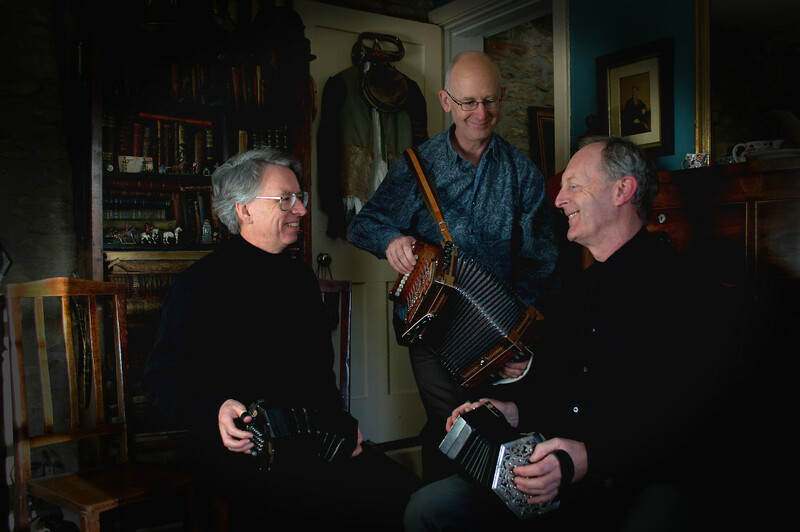 Firmly rooted in the English tradition, Three Pressed Men perform wonders with voices, hammer dulcimer, guitar, accordions, harmonica … and lots of concertinas! Our music embraces many moods and styles – striking a cappella harmonies, sensitive ballads, lively dance music and rousing choruses. Scythe, Sword and Anchor – first new album for 17 years! 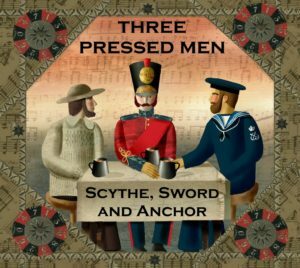 We have a Facebook page, too: befriend us at https://www.facebook.com/threepressedmen and we’ll let you know what we’re up to.